Winslow Homer! Maxfield Parrish! Andrew Wyeth! & Dana Sintell? DAI Trivia is back! If you haven’t been to a DAI trivia night, you really are missing out. 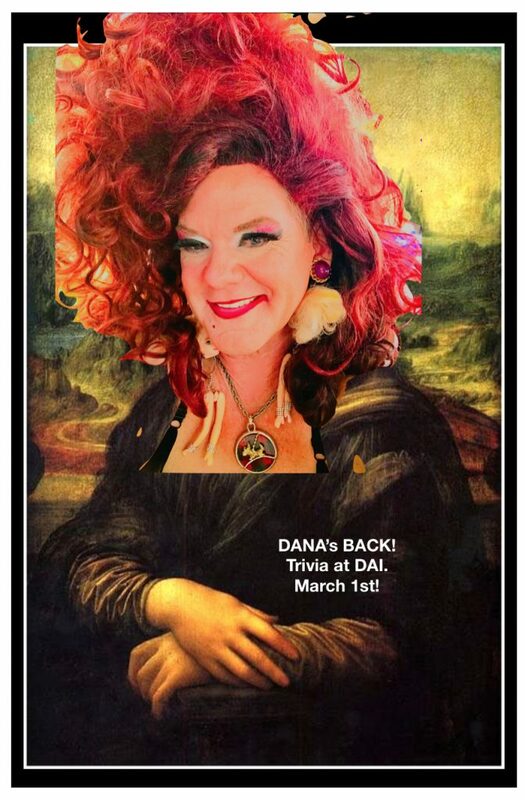 Another one has been scheduled for March 1st, and Dana Sintell, Dayton’s SweetHeart, is set to return to host the hijinx. 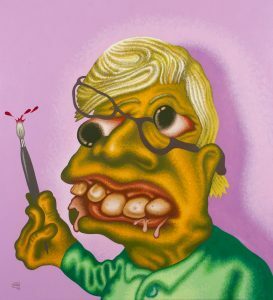 Peter Saul, Self-Portrait, 2013, acrylic on canvas. The exhibit coming to the DAI is one for the ages. Founded in 1825, the National Academy of Design has been a leading artistic voice for America. The upcoming exhibition will feature (are you sitting down? )…100 paintings by 79 artists. The works tell the story of the National Academy. Visitors will get to see masterworks of John Singer Sargent, Parrish, Homer, Robert Henri, Isabel Bishop, Wyeth…and so many more! ‘I love that it is growing and bringing more and more people through the exhibits. I love DAI, proud to be a part of it. This is just a way of saying to the community, you can enjoy art, and relate to it, no matter your background or lifestyle!’ Dana can’t do it alone! The partnership with Pepper Sprout Trivia Productions is essential. ‘Be warned!’ says Heather Leppla. Member Relations Manager. ‘There is a cap to this event. 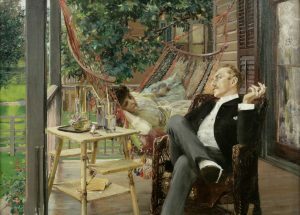 We have sold-out each and every time.’ Keep in mind, tickets include admission to the special exhibition For America: Paintings from the National Academy of Design; food and drinks available for purchase; trivia games…and even a nod to 100 years of DAI, which was incorporated February 28th, 1919!! The Dayton Art Institute plans in 2019 to have ‘100 ways to Celebrate’ their big birthday. How, you ask?? Hints: Impressionism. (Uh-OH!). A nod to 1969’s lunar landing. (What??). 19th century jewelry. (Get out of Town!!). And much, much more. Check out the DAI website. 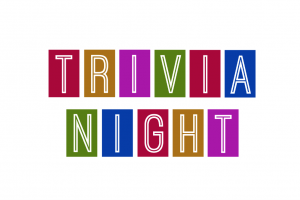 Order your tickets for trivia….ASAP! Date: Friday, March 1, 5:30-8:00 p.m.
Co-owner of Square One Salon and Spa, Agnes & Orson Gifts and Goods, founding member of The Rubi Girls and a retired school teacher, Joshua is often seen at all the happening places in Dayton.